Click the button below to add the Strawberries & Blueberries No Sugar Added Spread to your wish list. The fruit tastes so fresh in these no sugar added jams. This combination is spectacular. It is one of the top choices, by far. 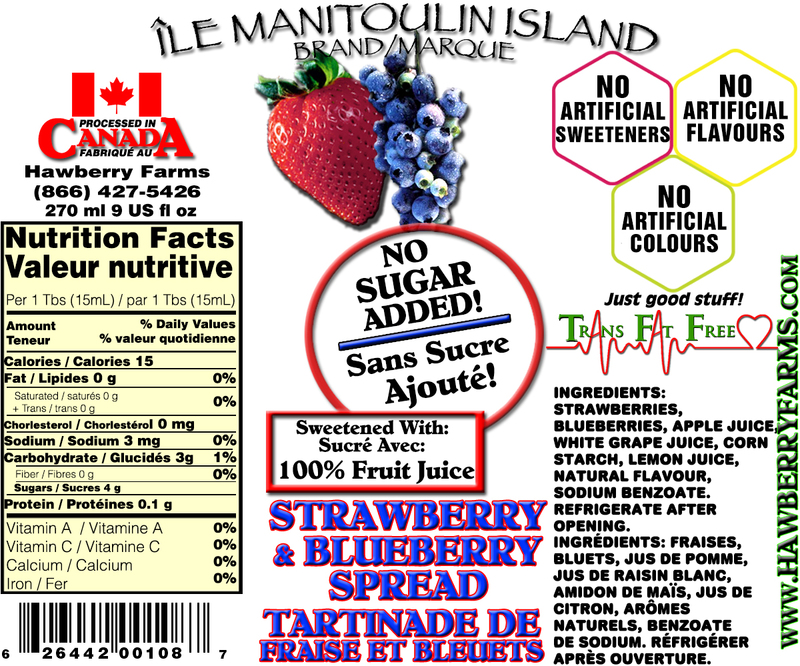 Ingredients: Strawberries, blueberries, apple juice, white grape juice, corn starch, lemon juice, natural flavour, sodium benzoate. Like the taste of the berries without the sugar sweet overpowering the flavor.